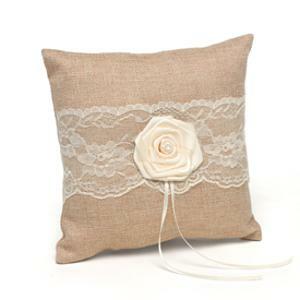 25221 - Natural burlap, square pillow wrapped with a lace band, highlighting a large ivory satin rosette with pearl accent. Features small ivory satin ribbons for tying rings. 8" x 8".